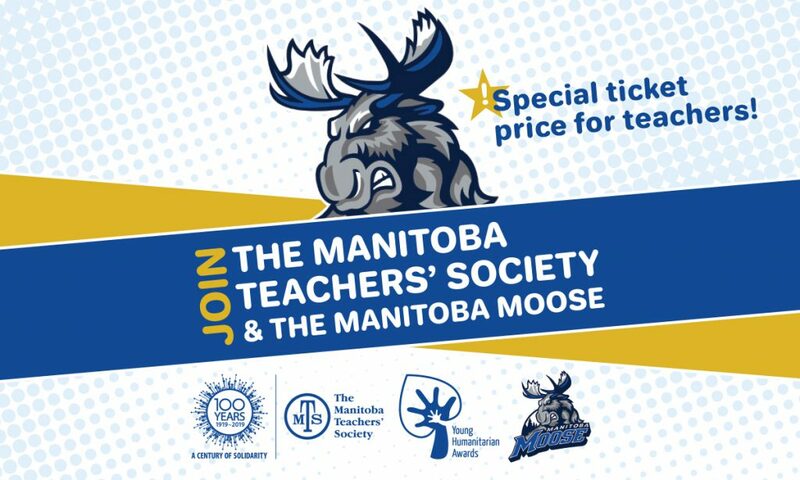 Join The Manitoba Teachers’ Society & The Manitoba Moose Sunday, February 17, 2019 2:00 p.m. as the Moose take on the Milwaukee Admirals in support of the MTS Young Humanitarian Awards! Organize a group buy for your Local, or bring the family for some long weekend fun! Questions? Contact Anne Bennett, MTS Public Affairs Facilitator at 204-831-3072 / abennett@mbteach.org.